Steel Vengeance, Cedar Point 2018, 1 of ? 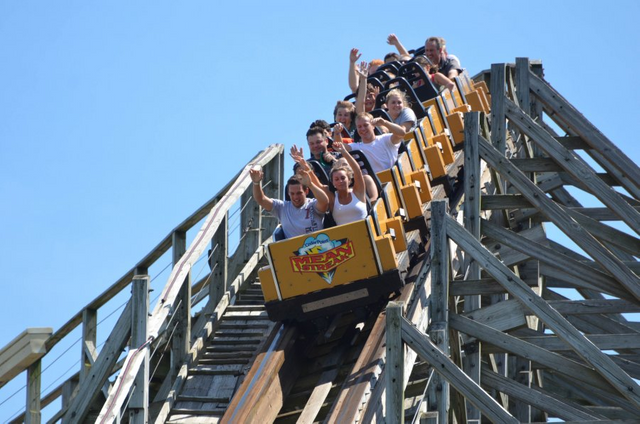 Steel Vengeance, the RMC rebirth of Mean Streak. This is a 1/40th scale, hand-built and 3D printed model that is in Cedar Points Frontier Town Museum, this is a video of it from the builders Instagram https://www.instagram.com/p/Bk0prRdFmEh/?taken-by=print_my_ride hopefully I can see it run this summer. I was challenged by @dreemsteeem to do a 100-word post, due to the background information my count starts at the next paragraph. This will likely turn into a series of posts. I'm a roller coaster junkie, to the point that I'm a Platinum Season Pass-holder and I've planned 4 trips to Cedar Point (my favorite park) this year already. 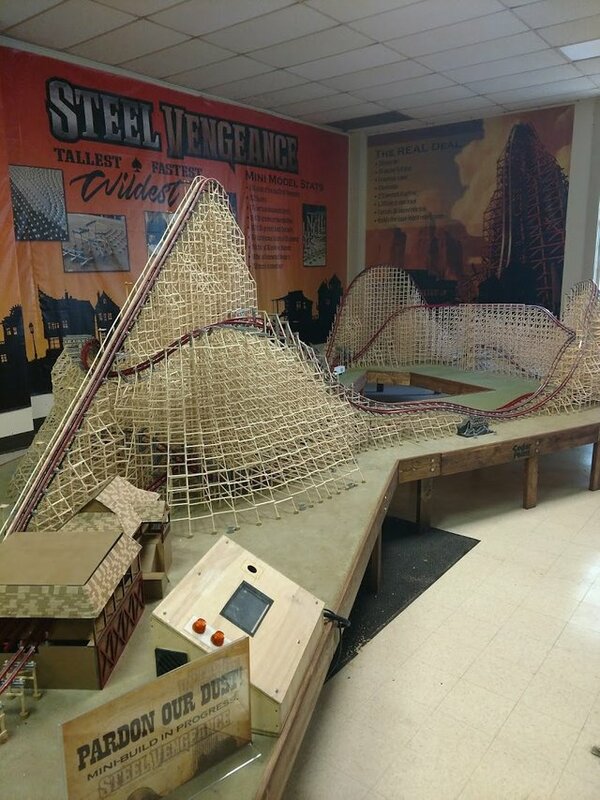 I've been following the Mean Streak to Steel Vengeance conversion for as long as the rumors existed. When I got off the first time, I had a new #1 coaster on my list. Mean streak had been a fun ride, it had a great layout. RMC took that layout and pumped it full of coaster steroids. A butter smooth ride and flipping around inside the superstructure, it's action packed till the end. I wrote such a long comment, I turned it into a post! Wow, that is one very cool coaster, and an amazing model of it as well! Thanks, @dreemsteem, for pointing this out. Nice to "meet" you here, @prlndra... I look forward to your rider reports... Please drop me a note here when you write one up! Not necessarily a rider report, but I think you might find it interesting? Let me know! lovely!!!! @creatr you MUST come look at this!!! As someone who prints 3D AND loves rollercoasters -this post will be right up your alley! I can't believe someone built this!!!! its FABULOUS!!!! wow - so it works and everything?? ?